The Muslim Rights Concern (MURIC) has decried the gross marginalisation of Yoruba Muslims in government ministerial appointments. The group have asked President Muhammadu Buhari to address the marginalisation by appointing Muslim ministers in the south western states where the governors are Christians. The states listed by the Muslim group are Lagos, Ogun, Oyo, Ondo and Ekiti. 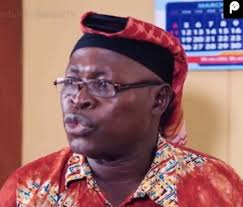 In a statement released by the MURIC director, Ishaq Akintola, he said that former President Goodluck Jonathan shortchanged the Muslims politically during his regime despite the protest made by religious religious. “We received the worst treatment under former President Goodluck Jonathan. He appointed six ministers from the sub-region but, to our dismay, all of them were Christians. We complained about this gross injustice but he ignored us for three good years (2011 to 2014),” the statement read.